One of the best things about playing online poker professionally (or just working online in general) is that you are location independent. Your office is anywhere in the world that has an internet connection which is basically anywhere on earth in 2017. 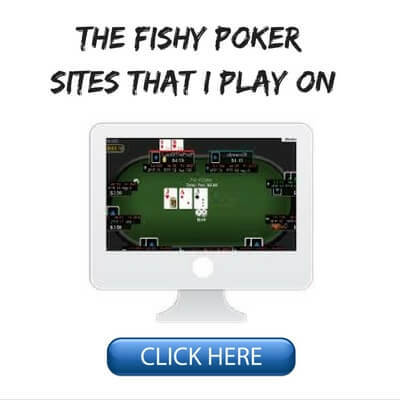 This is definitely one of the biggest things that drew me to online poker initially. That is, the idea of working for myself and having the freedom to live life on my own terms. It has been nearly 8 years now since I left my last "real job" and I have no intentions of ever going back to something like that again. So I finally took full advantage of this freedom only just a few years ago when I booked a one way ticket to Bangkok. I have written about what it is like to live in Thailand as an online poker player a few times before on this blog and they have become some of my most popular and commented on posts ever. In fact these days it seems that not a week goes by where I do not receive an email from somebody who is about to make the move here and wants some advice on how to settle in. I have personally seen explosive growth in the number of poker players (and online professionals in general) living in this region in just the short amount of time that I have been here. This is especially the case in Chiang Mai, where I spend most of my time, which is often dubbed the "digital nomad capital of the world." You can work ANYWHERE in 2019. 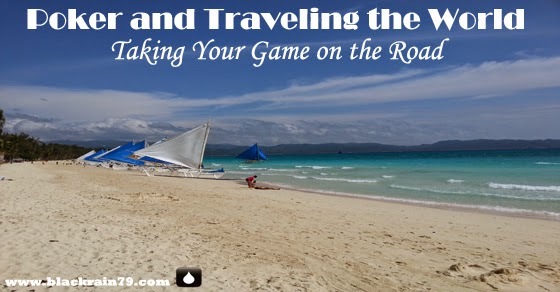 However, something that rarely gets talked about (at least in the poker community) is the idea of traveling as opposed to simply just moving somewhere. A lot of the poker players who have taken the leap and moved to a place like Thailand (or a ton of other places around the globe such as Mexico, Malta, Argentina etc.) tend to stay in the same place for most of the year with maybe the odd visit back to their home country. Often they live in a big poker house with 4 other poker players and kind of stick to themselves. There are some obvious advantages to this. Having a stable internet connection being among the top of them. It also helps to keep the costs down when you stay in one place and share the rent. But there is a whole world out there and if you have the ability and the willingness to go see it then I think you should do so especially when you are young. This is something that I only began to do just last year when I spent some time in the Philippines. 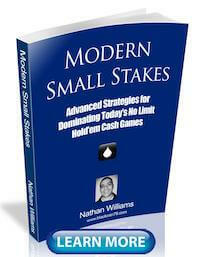 I actually released Modern Small Stakes while I was staying in Manila. It was a fascinating experience overall and I will definitely be back to that country in the future. Filipino people and their culture is far different than what I am used to in Thailand even though it is only a short flight away. This kind of lifestyle (relocating or traveling abroad) is something that is becoming more and more of a possibility for many people all of the time. Internet use continues to grow rapidly all over the globe and more people than ever are running home based online businesses or working remotely for a large company (upwards of 1 in 5 Americans at least part-time according to Forbes). I actually think that this type of work/life arrangement is absolutely the future for a whole host of different reasons but that is for another article. I can tell from the response to previous articles of mine that this is something that many of you are interested in as well. And of course playing online poker professionally (or live as well) is one way to make this happen. I am no expert on traveling the world yet but I have lived abroad for a few years now and wandered around a bit as well. I hope to provide some tips in this article on relocating and travel especially as it relates to online poker players. Living a life like this is really not as hard as many people think it is. And those of you reading this who have already taken the leap and moved halfway around the world should know this better than anyone. But there is still this myth out there that you have to be rich to do something like this, especially to travel a lot. This really just isn't the case at all if you go about it correctly. The first thing that you need to do is think about traveling in a different way. When I talk about traveling the world I am not talking about package tourism vacations like most people go on where you stay in a 5 star resort for a week and sip martinis on the beach. I am also not talking about riding the chicken bus and slumming it in hostels with the backpackers either. It's not that there is anything wrong with either of these. I have gone on vacations to some ridiculous beaches in recent years such as Boracay and Phuket although typically staying in 3 starish accommodations. I have also had an amazing time backpacking through countries like Laos with 23 year old free spirits from Ohio. But both of these types of travel are rare for me because they tend to restrict you from getting much work done and they are also a fairly superficial experience in my opinion. When I talk about travel what I really mean is a longer stay type of trip where you live a more structured life and also get a much deeper understanding of the local people and culture. However, I don't stick around long enough to be considered an expat either. So this is why I prefer to stay in the country that I am traveling to for at least 1 month and 3 at the most. I will typically rent an apartment or a condo outside of the main tourist areas which allows me to get much better prices on everything and see more of the actual day to day life there. Some people might say that this is not even traveling at all, that I am more or less just placing myself in a foreign culture for a bit. This may be true. But semantics aside I believe that this is the best way to truly experience a foreign country. I don't think that you can really begin to understand a vastly different culture in a week especially while spending most of your time cooped up in a resort or a hostel with a bunch of other foreigners. It is also the best way to maintain a reasonably normal life/work balance while traveling. There are some huge cost saving advantages to this way of traveling as well. Firstly, when you rent an apartment by the month you are going to save a fortune. If you hang out in hotels or even hostels paying the daily rate all the time, it is going to get expensive real quick. 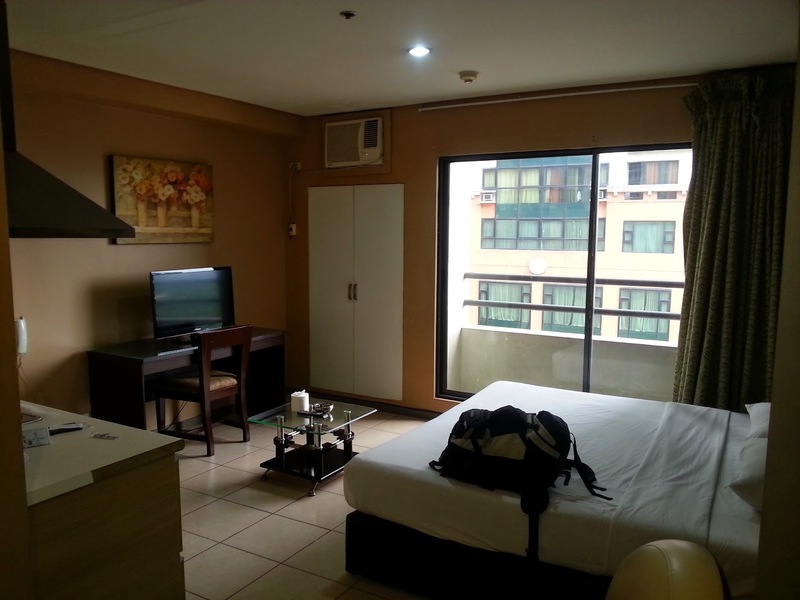 I am not really a fan of using the internet to book longer stay places like this. I want to see it in person myself first. This is why when I go to a new country or city I will book a hotel or guesthouse in advance on the internet for a couple of days and then hit the pavement looking at as many longer term places as I can during that time. Sometimes a significant hurdle can be finding a place where they allow month to month rentals. When I am on the road like this I typically have no wish to sign any sort of lease. If you want the baller pad it is going to be difficult to find one without a lease. This is why when traveling I often end up staying in a studio apartment of some sort. Sometimes this is even just a hotel room. A lot of them actually do have a monthly rate if you just ask. 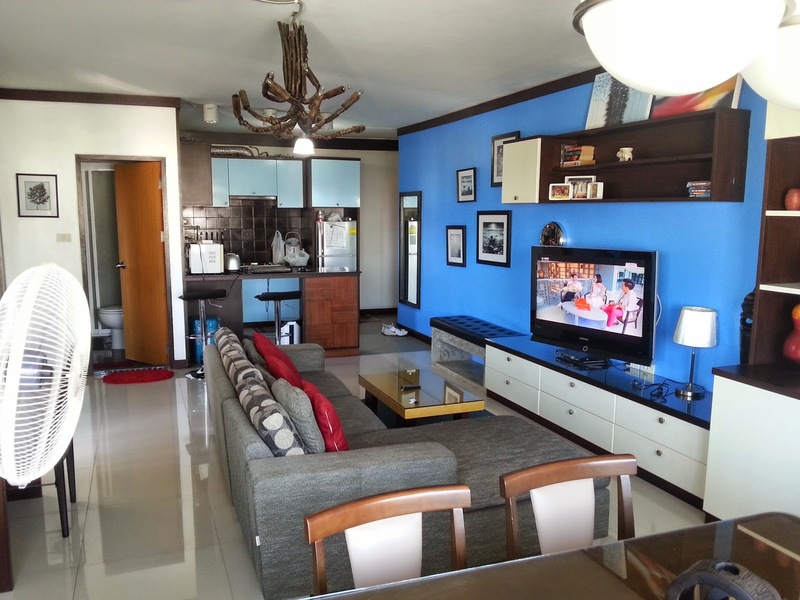 When I am back in Thailand where I spend most of the year I will get a nicer one bedroom apartment or even a house because I am willing to sign the lease (although 6 months max). One last option which I finally started taking advantage of last year is using Airbnb. I spent two months traveling all around South Korea and I didn't want to stay anywhere for more than a few weeks. Airbnb is absolutely ideal for something like this. You can rent an apartment for 2 days to a month at prices that are often much cheaper than a hotel. Also, since you are renting from a local everything is already set up for you. It feels like home. If you use my Airbnb link here you will receive $37 free towards your first trip. Internet is obviously a huge issue for all poker players or anyone who works online. However I do think that some poker players may put off traveling because they feel that they need the fastest most stable connection on earth to do their job. Unless you are playing high stakes HU hypers or something this probably isn't really the case. 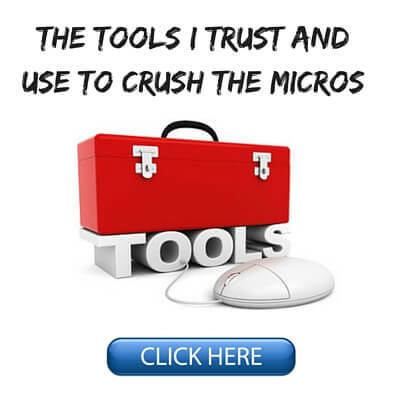 Most people reading this blog play micro stakes cash games where the money involved in a single pot is rarely large and you often get a healthy disconnect timebank as well. The amount of EV that you are actually giving up even on a dodgy wifi connection is pretty insignificant in most cases. However when looking for a longer stay place an already installed broadband connection (ADSL or cable) is still extremely high on my list. I will also ask to connect to the internet while I am there so that I can quickly run a Speedtest on the connection through my laptop. If I don't have my laptop on me then I will at least test the wifi using the Speedtest app on my phone (Android, Apple). Sometimes however it can be hard to find a place with a solid internet connection already set up. Furthermore, setting up your own line with a local ISP might not work because they will often want you to sign a long term contract. I am of course not sticking around long term. There are always other options such as tethering a strong connection from your phone or using an aircard but many times I have simply just relied on the wifi connection. They are not always as bad as you might think and here are a few tips to help with that. Firstly, most apartment or condo buildings will have a wifi router on each floor. Make sure that the place that you are looking at is as close to this device as possible. If they do not have an available apartment close to the router then do not stay there. Secondly, avoid massive condo or apartment buildings that have hundreds of units if you have to rely on the wifi. This many people will dilute and weaken the signal no matter what. And lastly, once again check the connection on your phone prior to moving in. Focus on the stability of the line especially, low ping. Lastly, if you stay in an Airbnb while traveling like I suggested above, this eliminates the internet issue. You will be staying in somebody's apartment or house. Therefore, a private good internet line will already be installed. You can confirm this with the host before staying there. 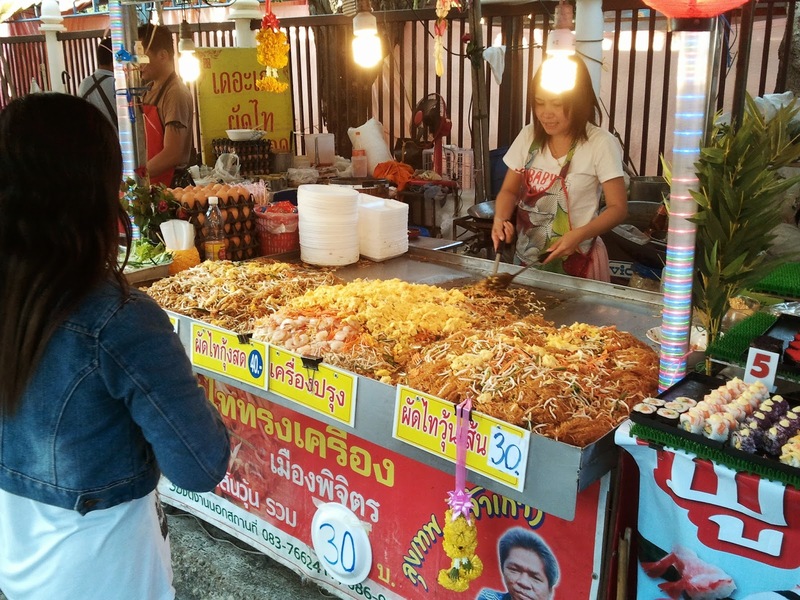 A typical market stall in Chiang Mai, Thailand selling Pad Thai for 30 baht. This is slightly less than 1$ USD. Since you won't be living in a tourist resort you won't be getting charged 4 times the price for everything. Go out to eat at the local restaurants, go to the local markets and pick up fresh meat and produce for a ridiculously low price. Try to speak the local language with them a bit, they will love you for even trying. Basically just try to live (mostly) like they do. You will of course still stick out like a sore thumb. It is absolutely impossible to avoid this. But who cares, this is all part of the experience. I should mention that I am not talking about living in the middle of nowhere in some remote fishing village or something here. That could get a little sketchy. I typically stick to major cities where some English is going to be spoken and there will be some foreigners living there as well. You should do some research on the city before your go there so that you have a rough idea of the various districts, where the tourists traps are, where the expats live etc. I personally think that Google Maps (Android, Apple) is one of the greatest inventions ever. I place pins all over the city on my phone before I ever even get there. I make sure to grab a sim card and buy some data as soon as I arrive. Often you can get this right away at the airport. Knowing exactly where you are and where you want to go at all times will make your life so much easier. One of my favorite things to do is to rent a motorbike and just take off to explore the surrounding area. Knowing that I can't get lost even if nobody speaks any English at all is a huge help. It will also save you time and money when a taxi driver inevitably quotes you some ridiculous price or tries to give you the tour of the city in order to keep the meter running longer. The biggest expense with traveling is always the airfare. There are many ways to "hack" the system by collecting points on credit cards and using frequent flyer programs. I try to do a little bit of this but I am no expert on the subject. There are definitely some ways to save on airfares beyond this though. First off, I always fly economy. I am not some rich high stakes baller. I have to travel with the regular folk, that's just the way it is. But really, it's mostly just the obvious stuff. Try to avoid flying on a weekend. The cheaper flights are almost always during the week. Try to avoid flying during a peak tourist season or a big holiday. Airlines know that demand will be high and they will often jack up the price. Booking well in advance is another big one. You should always book any flight at least 6 weeks prior to the departure date as the price will often be half of what it is if you book at the last minute. The best promotions are always available to those who book early as well. Ultimately the best way to save on flight costs though is to simply not fly at all. Or if you must fly then at least try to keep it local and use budget airlines like Ryanair in Europe, JetBlue in America or AirAsia in Asia. And by keeping it local I mean going to another country in the region and avoiding trans-oceanic flights as much as possible. As you can imagine for instance it costs me literally nothing at all to fly on a budget carrier from Bangkok to Phnom Penh or Kuala Lumpur especially when I book well in advance and take advantage of promotions. However, if I want to fly to London or New York it is going to cost me a lot more money no matter how I go about it. Most of you who are reading this are from a Western country. Passport holders in these nations consistently enjoy the highest travel freedoms in the world. 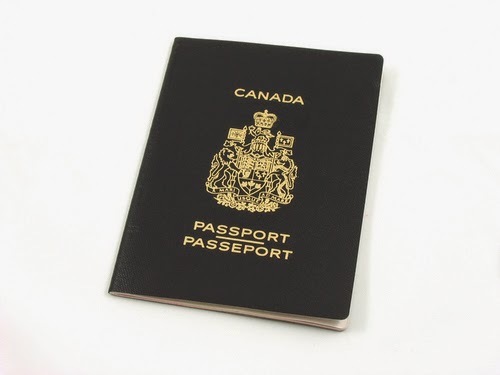 This means that you can go to most countries either visa free or by getting a visa on arrival. This will typically get you 1-3 months depending on the country. Often you can extend your stay if you want by heading to a local immigration office inside the country and paying some sort of fee. Be aware that there are some countries where you might have to apply for a visa ahead of time though such as China or Vietnam. Just do a bit of basic research on the internet before you go and you will be fine. Regarding health care often it is very cheap for minor stuff in non-western countries but it is still a good idea to get some sort of worldwide coverage for if anything major happens. Coverage plans can be found very easily with a simple Google search and they are often inexpensive. Make sure to read the fine print though because many of them will not cover stuff like motorbike accidents. These companies are well aware that people love to come to a place like Southeast Asia, rent a cheap little scooter not having any previous experience driving them and mess themselves up. Lastly, if playing poker on the internet is your primary source of income then you should obviously be aware of any laws or restrictions before you go to any country. As most people know for instance your options for playing online poker in America are currently very limited. In some countries such as France, Denmark or Italy you may have trouble getting on Pokerstars because they have private networks for their own citizens. On the flip side if playing live poker interests you then the US is a great destination for that. Just make sure to do your research on this before you go. The travel forum on 2+2 is often a great source of information for this sort of thing. I certainly did not invent this type of slow travel approach. It is very popular among online professionals these days and Tim Ferriss even mentioned it in his legendary book "The 4 Hour Work Week" many years ago when he talked about the idea of taking "mini-retirements" throughout your life. As he points out, the idea of waiting until you are old and perhaps have medical problems to "retire" and start enjoying your life is simply a ridiculous concept. You should go live your life while you are young. Placing yourself in a completely foreign culture for awhile will challenge you and make you grow as a person in ways that were previously unknown to you. And it doesn't cost anywhere near as much as many people think. This is because most of the places that are high on my list to go to are of course countries where the cost of living is low. As much as I would love to go live in Australia for example for a couple of months, this isn't likely to happen. Why would I go there when places like Thailand, the Philippines, Indonesia, Vietnam, The Dominican Republic, Mexico, Columbia etc. also have great weather and beaches and I can live in them for a fraction of the cost? I will certainly travel to places like Europe and Australia at some point for the experience but not for a long stay given the cost of living there. Countries in Southeast Asia and Central and South America are the best places to go these days for living either long term or short term. They typically have great weather all year round and a low cost of living. Here is the current monthly cost (at the time this article was published) for a one bedroom apartment in a bunch of major cities in these regions. All data comes from www.numbeo.com, a great website for comparing the cost of living in various places all over the world. It should be mentioned that a studio apartment will often be considerably cheaper but numbeo does not provide any data on these. Obviously there are much cheaper cities in Western countries to live in than these but the same can be said for any of the Asian and Central/South American countries listed above as well. For instance, it will only set you back $664 a month for a one bedroom apartment in Winnipeg, Canada and at $169 a month you can almost live for free in Sakon Nakhon, Thailand. However neither of these places are highly sought after destinations to live in (please don't send me hate mail if you are from Winnipeg or Sakon Nakhon!). The point is that if you want to live abroad and even move around a lot as I discuss in this article it is actually much cheaper than most people think. In fact even with airfare and visa fees added in (which are often non-existent on short term stays) if you live the modest lifestyle away from the tourist areas like I suggest in this article, then you would likely still cut your expenses considerably in comparison to living in any major Western city. This is a huge part of the reason why an increasing number of people who make a living online are deciding to leave. In my case, it simply does not make financial sense for me to live in the city where I am actually from (Vancouver, Canada) compared to many of the low cost destinations listed above. The 30 degree year round weather in a place like Thailand is a nice bonus as well! I hope that this article proved useful to some of you who are considering some sort of travel or relocation abroad. As I have said before, the hardest part really is just getting on the plane. Most people have a ton of questions about everything in the world before they leave (I did too). However, once they arrive they find out how easy it actually is to get themselves set up. It is only scary the first time you do it. More than likely you will be kicking yourself that you didn't take off for an adventure like this sooner. If this guy can make it playing NL5 for 3 years then I think clearly anything is possible. And there are many more stories like this as well. Don't get me wrong though, it is definitely much preferable in my opinion if you play higher stakes than this and I would highly recommend having some decent savings (at least 6 months living expenses) set aside as well. However, people like Turlock prove that if you can crush the lowest stakes of online poker then you do have some options. I honestly wish that I had thought of it myself a few years earlier when I used to click buttons all day long at NL2 and NL5 for some ridiculous winrates. 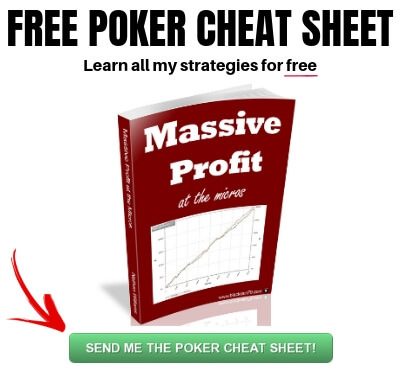 For my complete strategy on how I created some of the highest winnings in online poker history at the lower stakes make sure to pick up a copy of my free poker ebook. I do want to follow my own advice in this article though and expand my horizons a little bit more this year with some semi-frequent travel. So at the risk of turning this into another travel blog I may include some updates on that in the future. I wish you all the best in whatever your goals are in poker and in life. Hopefully this article helped provide some insight into a slightly different approach to life which is becoming more and more popular these days. Make sure that you follow me on Instagram if you want to see pics from all of my latest travels! 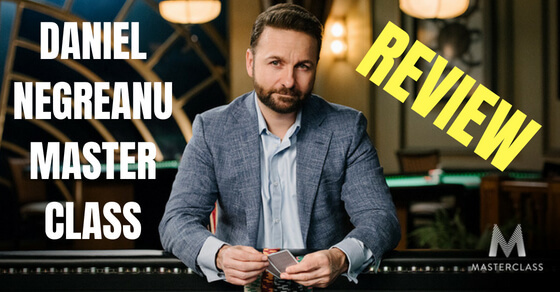 Let me know your thoughts on traveling/relocation and poker in the comments below! And if there are any questions that you want to fire my way about this, go right ahead. If you enjoyed this article please "Like" or "Tweet" it below! Nice article Nathan, I actually didn't thought it was that cheap to live for a couple of month on those destinations you talked about. 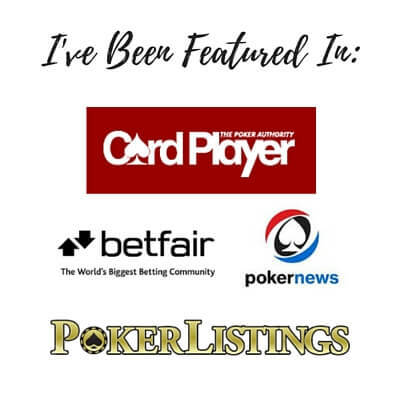 I talked a lot about you and your blog on the latest post I wrote for the Poker School Online, not that you need the advertisement anyways xD but still feel free to look me up there if you like ;) (id: mute07). Keep up the good work and best of lucks to you! Thats crazy cheap! I have recently read and studied CTM and have just stepped up to NL5 today. It's slightly tighter, but not much difference. 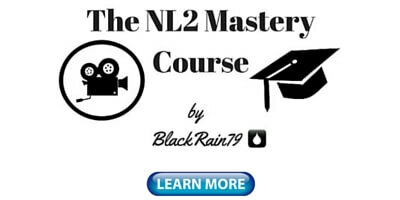 The main thing I noticed is I feel rich at the end of the session, as I'm used to NL2 money! haha. I'm aiming for NL25 by the end of the year and next year I will look at traveling when I can play NL50 and up. I've read all of your blog posts. I could not be doing this without you man. Really informative. 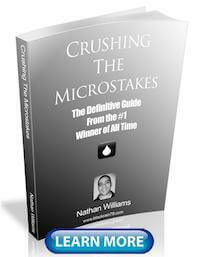 It really sparked my interest because this topic is a main focus point for my website as well. I'll be in South East asia in about 8 months and I'll be looking forward to all of the benefits it has. Like I mentioned I specifically focus on this kind of lifestyle and show people what it takes to achieve it so if you or any of your readers are interested in more of the topic just let me know and I'll drop a link. Thanks askillz2, I appreciate it! Sometimes I think I should start another site about this too haha. Then I remember that this one keeps me busy enough! You can feel free to drop a link to your site if you want. Great post Nate. I have living from sit and goes since 8 years. Learning cash now. I have traveled the whole south america in motorcycle plus several times my country. I live in Argentina. If someone needs tips/advice about this area , just let me know. Off course if someone need a local friend , feel free to contact me . Keep your great work ! Awesome work MrTyn and I would love to come to that area of the world one day! Fantastic article Nathan, I'm thinking of taking this kind of life again. I did young and now I am a pensioner I approach it again. I'm tired of surviving in Barcelona almost without leaving home when I could see the world and people without fear of living. I follow you for few months ago and I think you are a great guy. I'm learning poker with your first book and in a year or so I'll start traveling with the guarantee of my pension. Thank you very much for sharing your experience. We will continue learning from you. A hug. Thank you very much sir! It's funny because many people would say that Barcelona is a great travel destination! I would love to go there. But there are many amazing places to visit in this world and I wish you all the best on your journeys and in poker. Terrific, thought-provoking, comprehensive post. Many thanks.